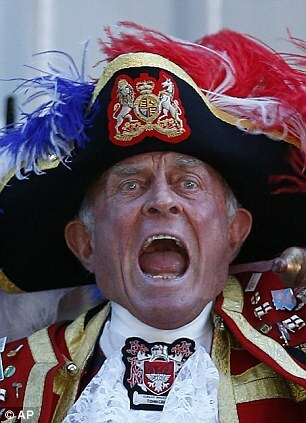 As far as bemused American news anchors were concerned, it was just another piece of barmy British Royal pageantry. 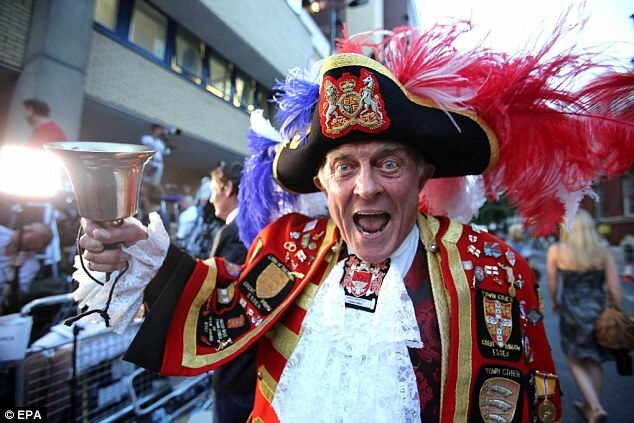 But it turns out that Tony Appleton, the town crier who announced the birth of the Prince of Cambridge outside St Mary’s Hospital in London was simply a great British eccentric – acting all by himself. Despite playing his part for the millions tuned in around the world, East London resident Appleton has admitted his bizarre cameo had absolutely no royal seal of approval. Appleton is in fact a crier, but in Romford, a commuter town just east of London, and in Bury St. Edmunds, a market town in southeastern England — not Buckingham Palace. 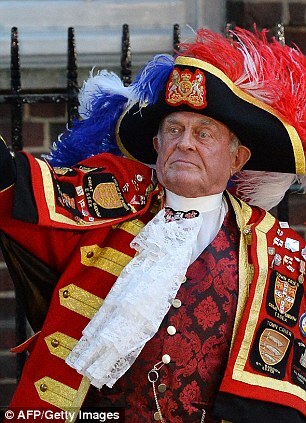 In interview on Wednesday that he simply showed up in costume after getting a tipoff from a British journalist that the Duchess of Cambridge, better known as Prince William’s wife Kate, had given birth. Speaking today to Yahoo!, Tony, from Chelmsford, Essex, said he was stunned by how the world had reacted to his role in the announcement. ‘I can’t believe it, I’ve opened up the newspapers and my face is all over them,’ he said. ‘I was not invited, I just crashed the party. I got out of my cab and I stood in front of the steps, because I didn’t think I would be allowed on them, and did my bit. It was great. 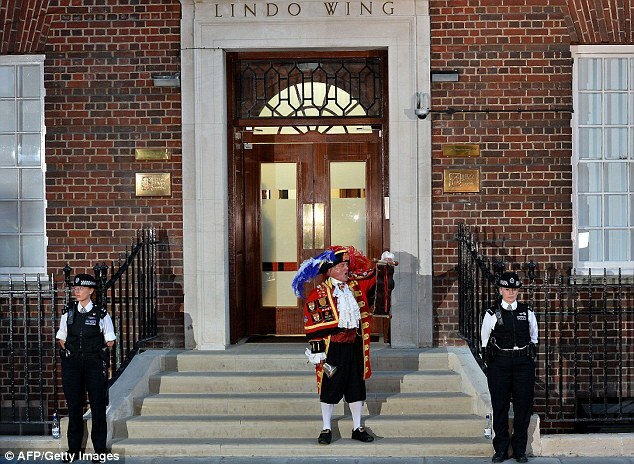 Worryingly, security didn’t even check him, assuming he was from the palace. That didn’t stop him from playing a bizarre cameo role on leading U.S. newscasts in the media frenzy surrounding the baby’s birth, nor did it prevent confused American journalists from identifying him as a bona fide mouthpiece for Buckingham Palace. 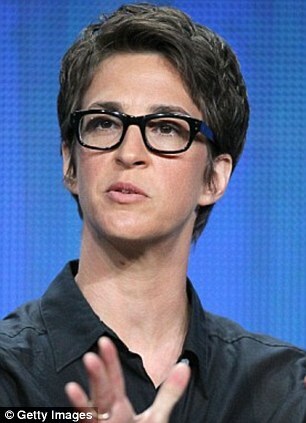 Another one who misidentified Appleton’s role was MSNBC‘s Rachel Maddow, who issued a tongue-in-cheek correction on Tuesday. 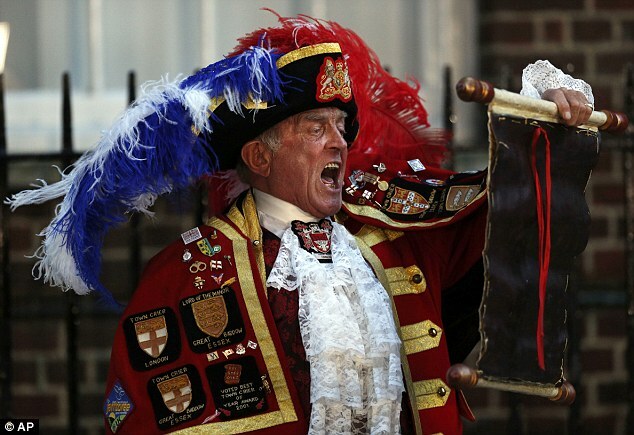 ‘Hear Ye, Hear Ye … Ye Old Department of Corrections shall herewith be presented,’ she told viewers. Buckingham Palace did not immediately return a call seeking comment.